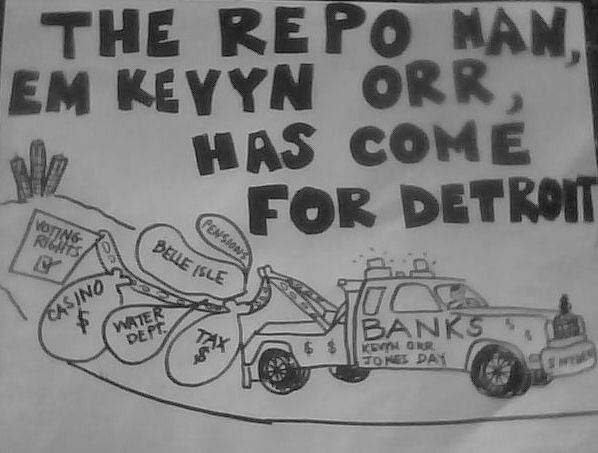 Detroit Water and Sewerage Downgraded By Fitch » Cancel Detroit’s Debt To The Banks! 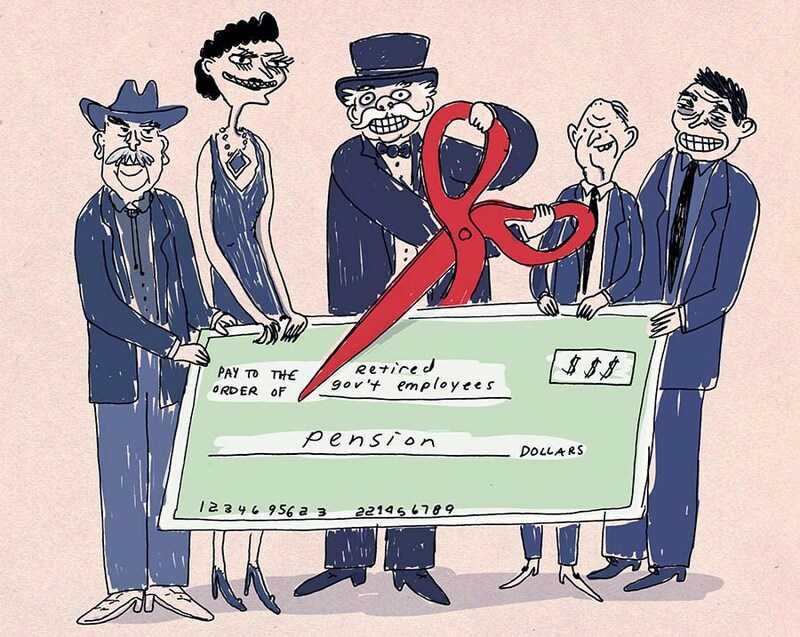 Detroit has enough problems with its shrinking population and falling tax bases, its Chapter 9 filing, and battles with pensions and bondholders. However, its troubles increases as Fitch downgraded bonds issued by the city on behalf of the Detroit Water and Sewerage Department (DWSD). DWSD has been considered more credit-worthy by the markets than Detroit is because of its steady stream of revenue. –$565 million second lien water revenue bonds to ‘BB’ from ‘BBB’. –$788 million second lien sewer revenue bonds to ‘BB’ from ‘BBB’. Senior lien water and sewer bonds are separately secured by a first lien on net revenues of each water and sewer system (the systems). Second lien bonds are separately secured by a second lien on the net revenues of each system after payment of senior lien bonds. BELOW INVESTMENT-GRADE RATING REFLECTS WEAK OPERATIONS: The system continues to exhibit weak financial performance, with fiscal 2013 unaudited results missing forecasts. Fitch believes financial improvement over the near term is unlikely given recent disclosure regarding the full scope of customer delinquencies. Fitch’s concerns about delinquencies are further exacerbated by the city’s status as a bankrupt entity. UNCERTAINTY DRIVES THE WATCH: A key assumption underpinning Fitch’s ratings is that water/sewer bondholders are legally protected from impairment under Chapter 9 given the clear intent of the bankruptcy code to carve out debt supported by special revenues. Nonetheless, there remains uncertainty surrounding the city Emergency Manager’s (the EM) attempt to impair system bondholders under the city’s Plan of Adjustment (the POA), including removal of the call provision and subordination of bondholder security interest combined with threatened reduction in interest coupon. Fitch believes that there is no legal basis to compel bondholders to accept such impairment as proposed in the POA. SEPARATE OPERATIONS: All system funds and accounts are maintained separate and distinct from other city funds including the city’s general fund. Excess system funds are invested by the bond trustee for and at the direction of DWSD. HIGHLY LEVERAGED DEBT PROFILE: The systems’ debt load is expected to remain elevated for the foreseeable future. Borrowing needs for sewers are moderate and for water, minimal. EXPANSIVE SERVICE TERRITORY: The systems provide essential services to a broad area. The water system covers roughly 43% of Michigan’s population, with over 70% of operating revenues coming from wealthier suburban customers. The sewer system includes roughly 30% of Michigan’s population, with over 50% of operating revenues coming from suburban customers. STRONG RATE-ADJUSTMENT HISTORY: The governing body has instituted virtually annual rate hikes in support of financial and capital needs. While there have been recent changes in the city’s governance structure through the appointment of the EM, Fitch does not view this change as a concern at this time. 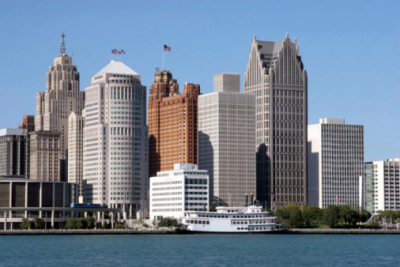 The bonds may seem to be walled off from some of Detroit’s problems, but Fitch does not think that fact is enough to protect their credit-worthiness.